It is very irritating for you when it comes to cleaning windows in winter. The windows can get very dirty in winter and that is why they are hard to clean. Apart from the dirt, there is snow which blocks the way of the windows that is why you need a professional team to keep it clean. The team will examine the condition of the window and then go for a replacement if required. How do they repair the windows? They will seal the air bubbles by using the special tools. You can contact the Window Washing Chicago, IL, to have a clean and green window in your house. A clean window will keep the cold air out so you stay in warm in the winter. There are professional tools by which you can clean the windows without any problems. Cleaning windows is not something that most people consider to be pleasurable experience, especially during the harsh winters. However, you may try different techniques to clean the new windows in Chicago during winter. It is very easy to clean the windows of the new homes. It will help you to block the cold winds of the Michigan Lake. You may need a windshield cleaner and other important equipment such as paper towels, spray bottle, and a squeegee. At first, you have to apply the windshield cleaner and water in the windows. You have to be careful when choosing a window cleaner in winter. You have to spray it evenly on the windows after that you have to wait for a while. When everything is done then, you have to squeegee the windows from the top to bottom of the window to remove the remaining water. After that, you have to wipe the glasses using a towel to remove any excess moisture or streaks. You may need use paper towel or newspaper to soak all the remaining mixture from the windows. You can repeat the process twice for better results. A storm window is a window that is made to handle extra distress from storms and inclement weather. You can easily switch between normal windows and storm windows without any real problems. The storm window is very useful because the normal windows may not able to handle the storm efficiently. The sunlight plays a vital role in the cleaning of windows in winter. The windows need to be cleaned in winter to keep your house in the best condition. There are many windows cleaning teams in Chicago that can clean and make the windows look like new. They will rapidly clean the windows with limited problems. The best part is that they use environment-friendly materials to clean the windows. It will look like a new window after they have finished cleaning the windows in your house. If the windows are not cleaned properly, there will be rust on the metal parts of the windows. If the windows of a house in Chicago are poorly cleaned, there will be lots of issues. It is always recommended to hire a professional cleaner to keep everything clean and secured. They used to provide high-quality service and dedication for commercial and domestic windows. Which is the right time to wash the windows? You should clean the windows regularly; there is no special time to clean the windows. However, in winters the windows need to be cleaned. The spring and fall are the best time to clean the windows. If the windows are dirty, however, and you are ambitious enough, you should try to clean the windows in winter, but you have to be careful about the freezing fluid. Alternatively, you may contact a technical person who can help you to clean windows. What to look for when hiring a window cleaning company in Chicago, IL? 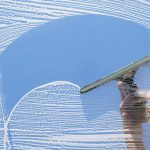 When it comes to selecting a window cleaning company in Chicago, you have to be very careful about the service, fees, and other factors. You have to know more about the services offered by the cleaning company as well as cleaning charges. You should ask about the required time as well as the labor charge of the job. Apart from that, you have to book a reputable cleaning company. The cleaning experts are well-trained so you can have a seamless experience. There will be no obstruction in your normal work. A reputed company will keep your business clean and shiny with no worries for you. Most of the cleaning companies offer domestic and commercial service. You should mention the type of service before hiring a cleaning company. Why is window cleaning easy for the experts? When it comes to the cleaning windows in Chicago and any other country, it is very easy for the experts. There are professional equipment and techniques by which they can easily clean the windows and other areas without any problems. There are many benefits of having a professional cleaning service and the best part is that there will be no damage to your windows and walls. What to do after an appointment with the cleaning company? When you have fixed the meeting with the company, make sure that you have seen the past service work and background of the company. If you are satisfied with the quality, you can relax and enjoy a high-quality cleaning. The crew will clean the gutters as well as the interiors of the window so you can enjoy the new look of the windows. You should look at the equipment and cleaning quality of the company before hiring. Apart from that, you should look at the cleaning techniques and quality of the company in Chicago. If there is any special tools being used, you should ask the company directly. The most important part is the price; make sure to seal the deal at the reasonable price. When it comes to the prices of the cleaning, you don’t have to pay huge because they charge less than your expectation. 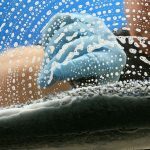 If you have hired a professional cleaning company from Chicago, then you may have to pay around $250. If you are going to trim down the services, the price can be less. With reduced services, your fee could hover around one hundred dollars. When it comes to premium services, you may find that you will have to pay closer to $400 for that. 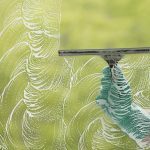 There are many reputable window washing companies in Chicago, IL. If you are looking for high-quality service, do the right thing and hire them to clean your windows. Windows are the important part of your house and business property, so you show them the attention they need by providing the proper care.